When I was a kid, I used to listen to the transistor radio at night and pull in AM radio stations from as far away as St. Louis and Detroit. I knew then that the stations west of the Mississippi River began their call letters with a K and conversely with a W east of the river, where I was from. I knew this because at night, when the stations’ signals were clearest, I could hear St. Louis Blues hockey games and in the summer, Jack Buck calling St. Louis Cardinal baseball games from KMOX in St. Louis. I found out later, the early 1990’s to be precise, that there was a KCOU in Columbia, Missouri that is the University of Missouri’s flagship radio station. I know this because on the Upper West Side there was a no-frills, some might say, dive bar called KCOU. Maybe the owners of KCOU went to the University of Missouri. I didn’t know and I never asked. It was just the name of a place I would go to early and often; mainly for the bar’s happy hour which began, I believe, at four in the afternoon and lasted until eight at night. The happy hour featured a two-for-one deal on anything you wanted—there were no restrictions as many bars institute now where the two-for-one deal applies only for “well” drinks made with the house booze, usually far from top shelf. At KCOU my preferred cocktail at the time was a Stoli on the rocks with a wedge of lemon. And the bartenders, who of course I became very friendly with, would not skimp on the pour, generously filling the four ounce glass to the rim. 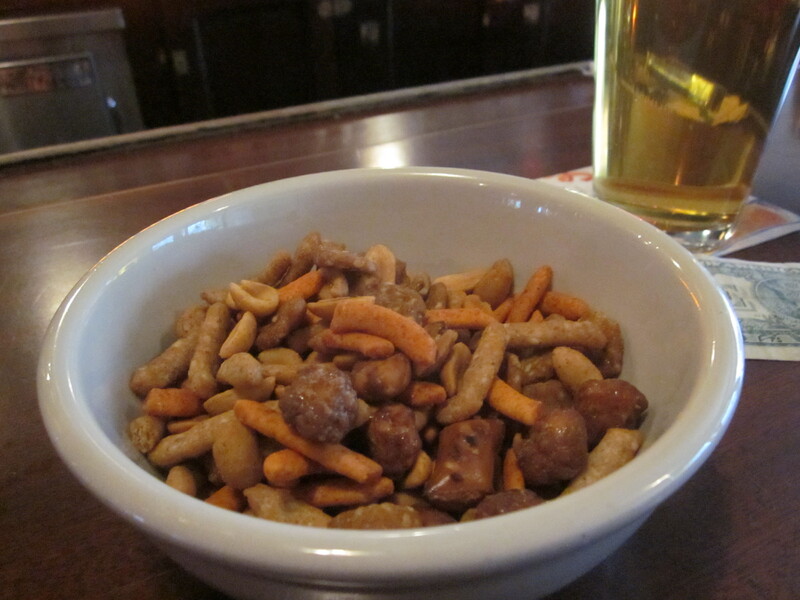 Along with the drinks, big bowls of salted peanuts or mixed nuts were complimentary. On many nights those bowls of nuts, which were replenished whenever emptied, would serve as my evening meal. The cocktail of choice at KCOU. The bar had an eclectic juke box and was usually very quiet at least until eight when the imploding frat scene that was taking over the stretch of Amsterdam Avenue where KCOU was located would begin to infiltrate the space. By then, after too many two-for-ones, it was lights out for me anyway. To my dismay, the frat scene implosion eventually forced KCOU out of its Amsterdam Avenue location. 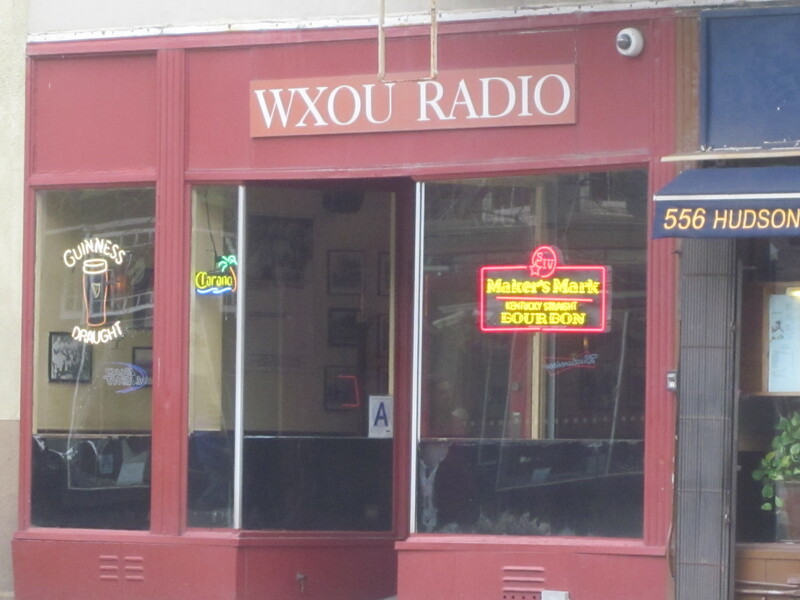 But I quickly learned that there was a sister “radio” bar named WXOU on Hudson Street, diagonally across from the legendary White Horse Tavern. Though a subway schlep from where I lived uptown prevented WXOU from replicating KCOU’s home away from home status, I would make my way downtown often enough to enjoy the similar happy hour atmosphere at the cozier WXOU. The bar had the same two-for-one policy and even the complimentary bowl of nuts in the identical white bowls that I was familiar with from KCOU. The juke box was, I was happy to see, almost a carbon copy of the uptown version. The major difference was that WXOU was much more popular than its late uptown brother. 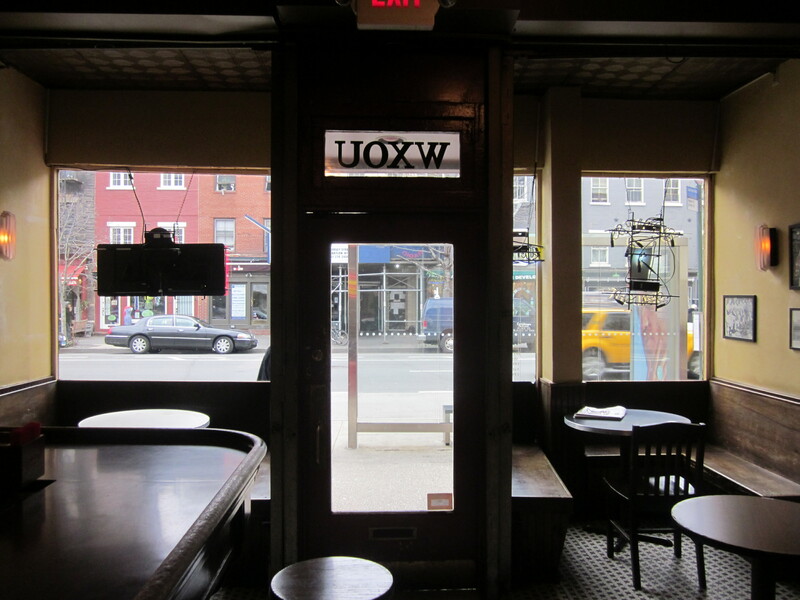 In the West Village, the happy hour at WXOU was a hit; the chances of a frat implosion on this stretch of Hudson Street was remote. After probably a decade long absence, I returned to WXOU recently and discovered, happily, that it was pretty much exactly as I remembered it. 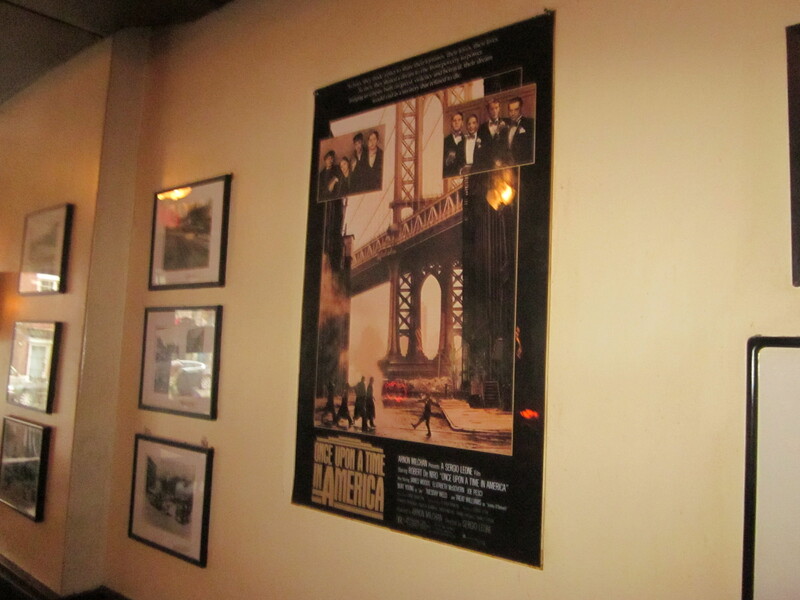 The posters for the movies “Stranger than Paradise,” and “Once Upon A Time in America,” were in the same spots they were when I last visited. 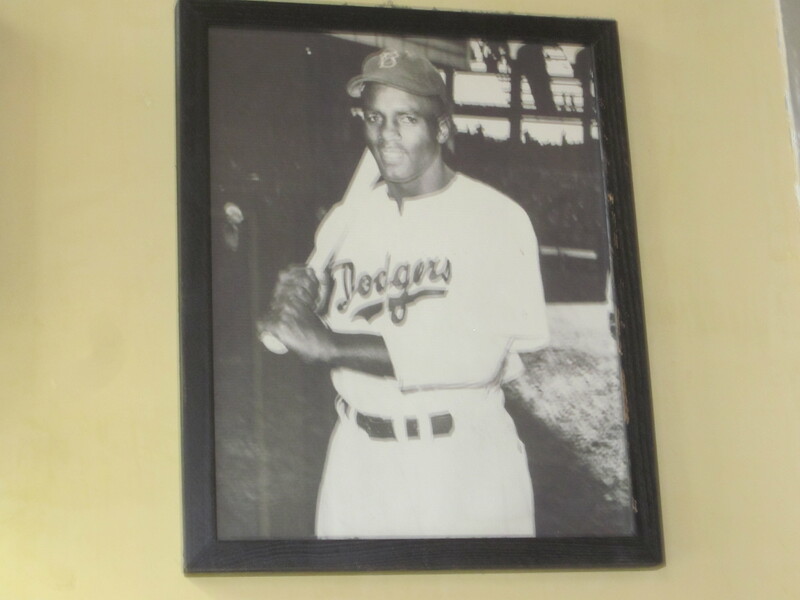 Same with the picture of the old Brooklyn Dodgers and the portrait of Jackie Robinson. 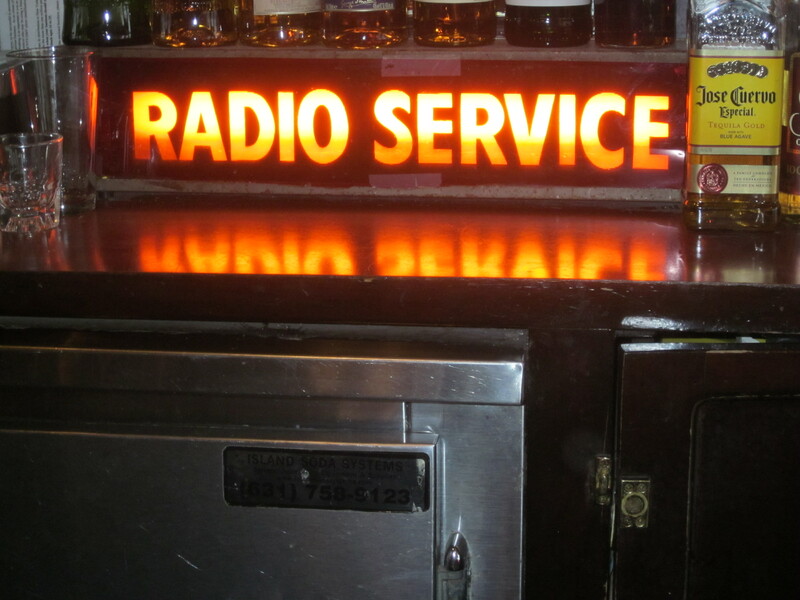 The WXOU radio clock still stood where it did before; in the back of the bar near the restrooms. I flipped through the juke box selections. They were still top notch. There were changes, however. 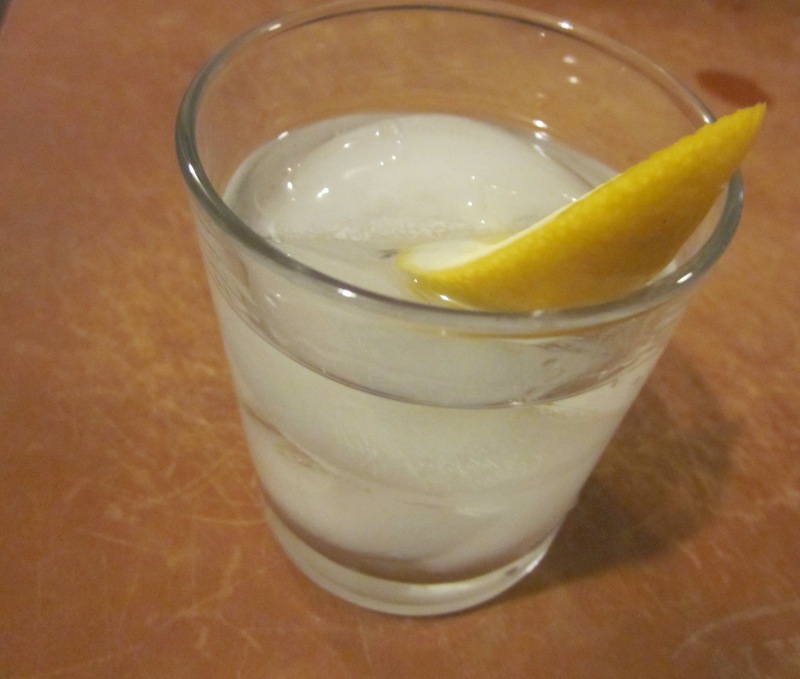 The happy hour, which I noticed now began at three, was no longer two-for-one. Pints of draft beers were a mere four dollars and, like it had at pretty much every drinking establishment, the beer list expanded to include microbrews and beers from Belgium that I never knew existed back during my “two-for-one” period. I ordered a Spaten, a German beer from the bartender, a female with multiple colorful tattoos on her forearms. Along with the beer, I was given a bowl of nuts. Upon further inspection, the bowl of nuts included some of that other crunchy, salty stuff; pretzel pieces, honey coated almonds, mini-crackers, and those salty sesame sticks. I sipped the beer and stared at the “All Cash. 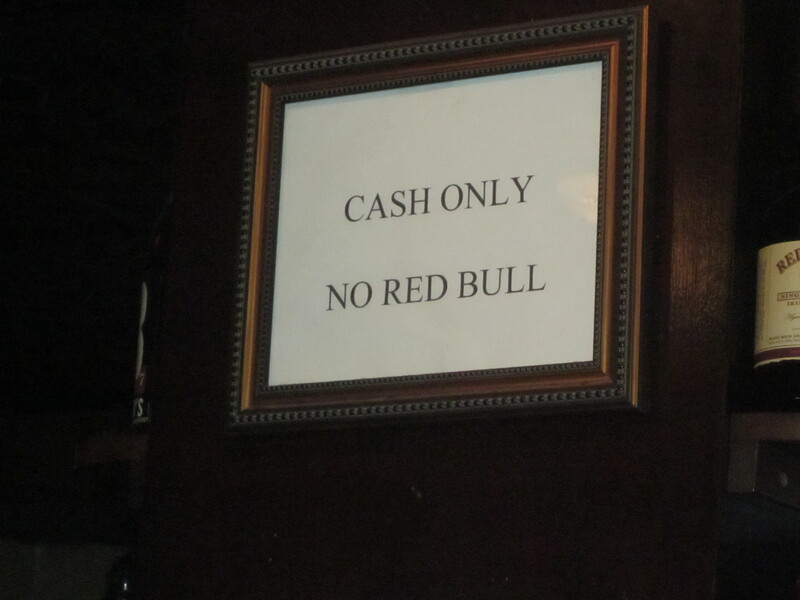 No Red Bull” sign above the bar. It was still daylight outside and from my perch at the bar I watched the activity on Hudson Street. Fathers, more than mothers, I noticed were accompanying their young children home from what must be a nearby school. I finished the pint—and then another. The Animals were on the juke box: “We’ve Gotta Get out of this Place.” I was in no rush to leave this place, but I gathered my belongings and collected what remained of my money on the bar, minus a tip. The last thing I did before I left was to grab a handful of the crunchy salty stuff from the white bowl and while walking out, tossed a few into my mouth.